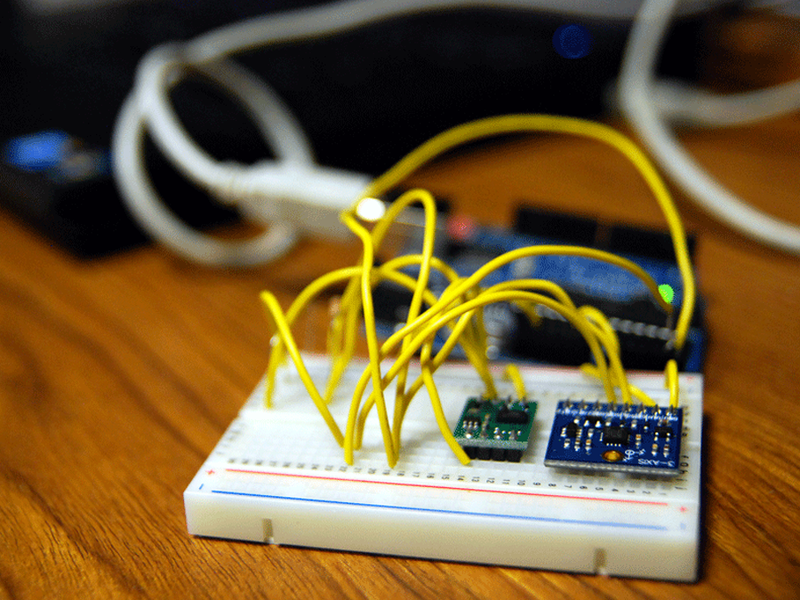 This project focused on using an vibrating device (AVD) to display haptic feedback. Simple vibrational cues have long been used in consumer electronics. Some examples are a cell phone’s vibrating alerts, or the “Force Touch” trackpads in MacBooks, However, these are merely binary cues for the user while some devices exhibit an ability to give much richer haptic feedback. A common example is the 6 DOF Phantom Omni which uses a grounded serial chain to transmit force feedback to the user via stylus. The goal of this project is to use reinforcement learning in simulation to teach a behavior capable of hitting moving targets. More complex ideas could be learned by the robot as well. 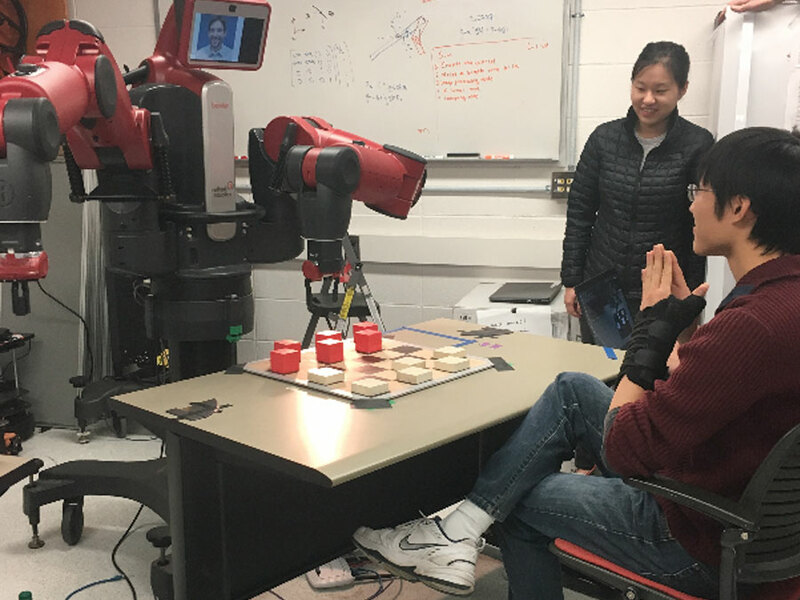 As long as the simulation is representative of real-world conditions and the reward policy is appropriate for the goal, then the robot should be able to execute the task. 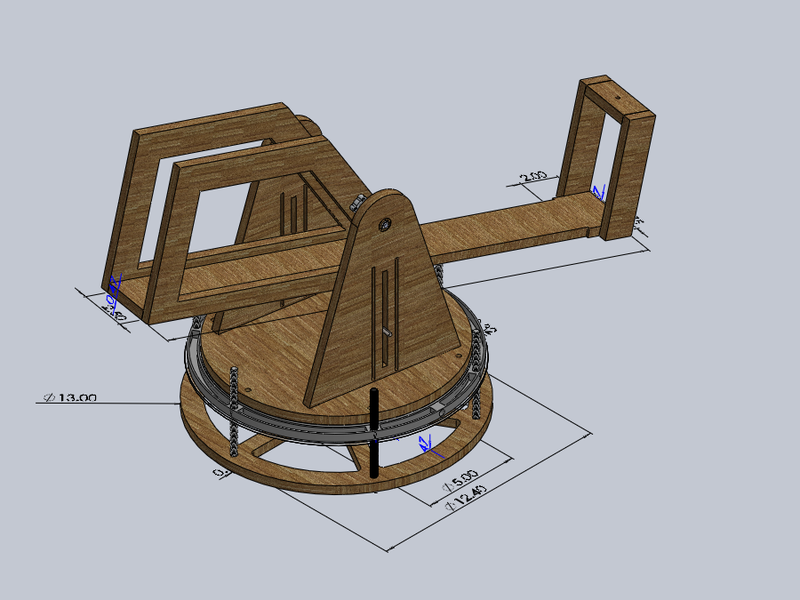 Build Simulation Using the OpenAI gym toolkit, I have been able to build a simple simulation for the robot. The goal of this project was to get a Baxter device to play checkers (a.k.a. droughts) against a human opponent. To achieve this, a combination of inverse kinematics, camera detection, and proportional control was implemented. The bulk of my own work was concentrated on creating a checkers engine for Baxter that enabled the robot to chose a move based on the current board state. This was a project I completed for ME 314 at Northwestern University. 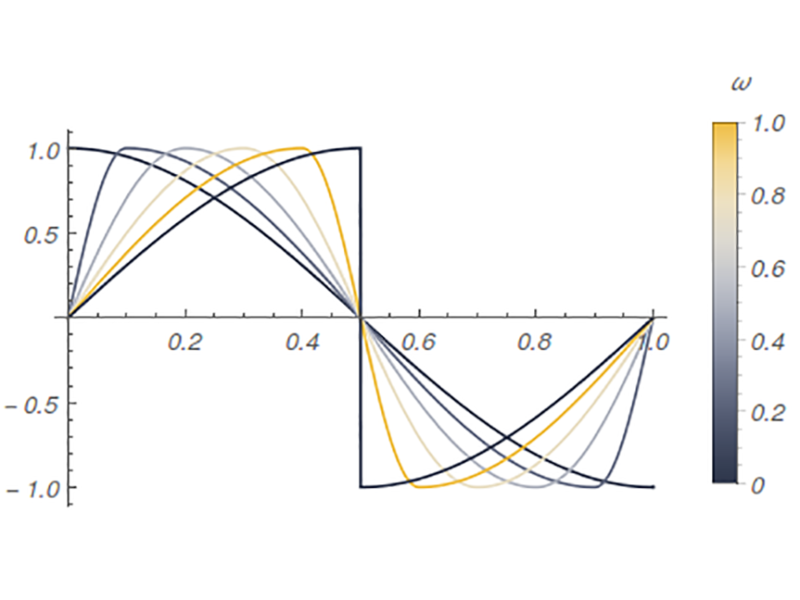 It is a dynamics course focused on variational methods combined with geometry to provide relatively straight forward approaches to constrained rigid body mechanics. This includes impact mechanics and therefore lends itself to analyzing things like human locomotion. My project doesn’t go that far - it only uses a 1R robot - but the general strategy could be extended to a 7R robot which is reminiscent of a humanoid stucture in profile. 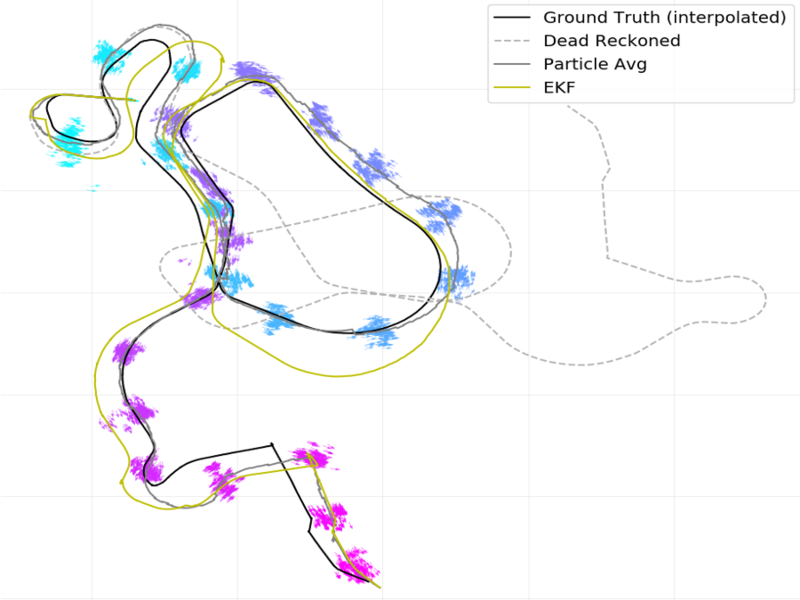 In this personal project, I modeled the swarm behavior of starlings. 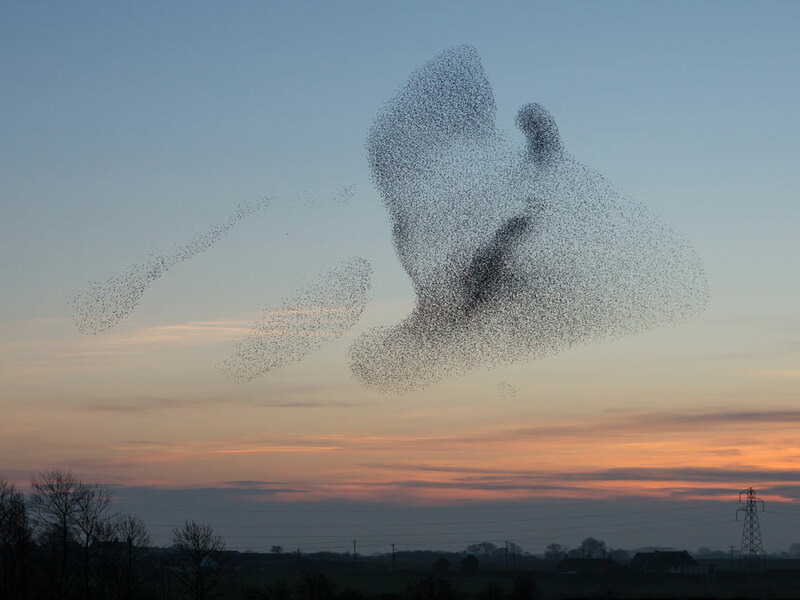 These murmurations are a commonly studied behavior of ornithologists and swarm roboticists alike. The concurrent actions of the birds as a group has been relatively unexplainable up to this point . However the recent work of Pearce, Miller, Rowlands, and Turner has introduced a model that provides a better mechanism for global interactions between the birds. Max-Mobility, a manual wheelchair innovation company based in Nashville, was looking to develop a device capable of determining a user’s balance angle in their wheelchair. Because balance angle accounts for both vertical and horizontal center of gravity, clinicians can use it to achieve desired performance characteristics (ex. stability, push angle, cross-slope veering, etc). depiction of cross-slope veering Approach Our team decided to rely on the oscillatory motion of a wheelie, which fundametally hovers around the user/wheelchair system’s balance angle.